Every year, gospel singer Willy Paul releases more un-gospel-like music despite being a born again singer. Kenyans have always hated him for this, rebuking him online every time he has new music out. During the weekend, the singer appeared on KTN’s music show Str8 UP where he finally opened up to why he’s always looking to work with secular guys. In his defense, people should work with anyone willing to spread the word of God despite their background. “God is love, and I work with my brothers and sisters because we are spreading the word of God, which is love,” Willy Paul said. 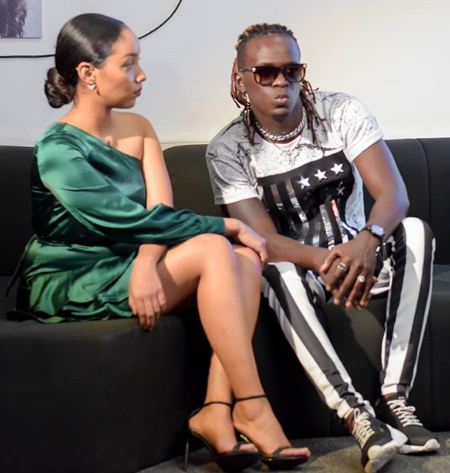 Willy Paul’s comments come at a time Kenyans have shown frustrations over the current gospel industry state which has been accused of hypocrisy.